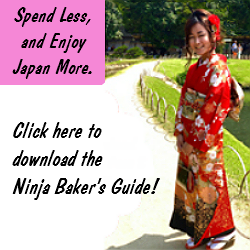 Chocolate – often affectionately called “choco” in Japan – is also wildly popular. Compared to yuzu, however, chocolate is a fairy new commodity in Japan. Milk chocolate made its debut with the Japanese audience in the early 1900s. From my Google Japan and Google USA research, it looks like white chocolate won over the hearts of Japanese girls as White Day was introduced in the 1970s. White Day is an attempt at equal affection expression. Translation: In Japan, Valentine’s Day is mostly about girls giving boys chocolates. In March, boys present girls with chocolates and other sweet gifts. 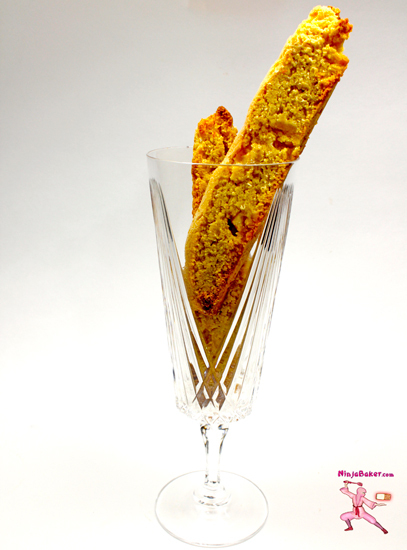 Do you prefer biscotti with wine, espresso or milk? For today’s Creative Cookie Exchange post - scroll down for details on how to participate – I married the ancient yuzu with the modern white chocolate into blissful biscotti. The classic Italian cookie is made with American cake mix, Japanese yuzu juice and universally loved white chocolate. The biscotto hums in harmony with piquant Japanese yuzu and sweet white chocolate. Although the biscotti are crisp, they are not quite as crunchy as the traditional Italian cookies. 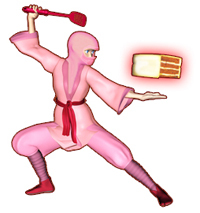 But, the Ninja Baker's Japanese Yuzu Citrus Biscotti are still very yummy. Check out the recipe and see if you don’t agree! 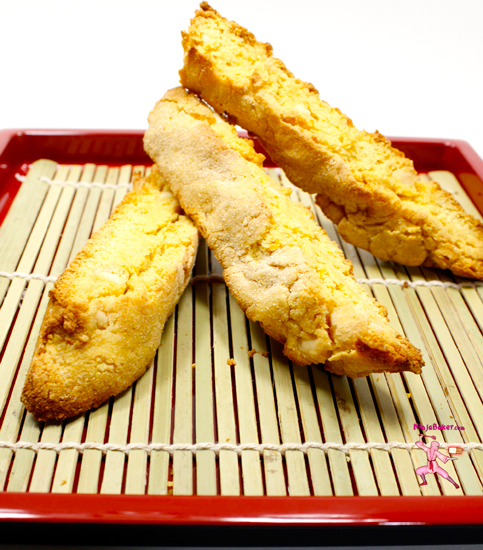 Japanese Yuzu Citrus Biscotti are blessed with the tang of yuzu and the sweet touch of white chocolate. 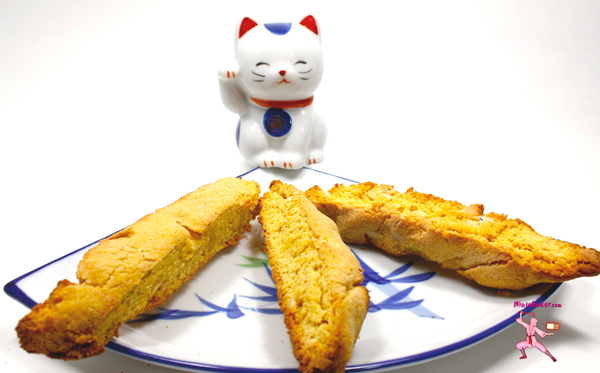 This is one biscotti recipe which produces a blissful yin and yang of piquant and sweet! Adapted from a Betty Crocker recipe. Whisk together the cake mix, coconut flour, and Mandarin orange zest. In a separate bowl, beat together the eggs, oil, Japanese yuzu citrus juice with chopsticks or a fork. Add to the cake mix bowl. Shape the stiff dough into a 12 x 4 inch rectangle on a parchment lined cookie sheet. Bake again at 350 degrees for 8 minutes. Wishing you days as beautifully balanced as the yin and yang of a Japanese yuzu citrus biscotti!